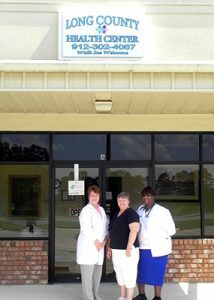 The Long County Health Center is a non-urgent care clinic affiliated with Wayne Memorial Hospital located in Ludowici. The center, which utilizes a licensed nurse practitioner for daily care, is overseen by Dr. Lafayett Burks, a physician at Wayne Memorial Hospital. Express Labs – low-cost labs for self-pay patients.